SERVPRO of Northwest Las Vegas is the premier disaster restoration company in Las Vegas. Our team has IICRC certifications and experienced to handle any size loss in Las Vegas. We are quick to respond and operate 24 hours a day. If you have a fire, water or mold loss, we can handle everything from the remediation to the full reconstruction of the project. Dennis and Jodi Zachary the owners of SERVPRO of Northwest Las Vegas have over 30 years of restoration and construction experience. If you have any questions, feel free to reach out to us at anytime, 24 hours a day. We live and work in this community too; we might even be neighbors. As a locally owned and operated business, SERVPRO of Northwest Las Vegas is close by and ready to respond to your cleaning or restoration needs. We are proud to be an active member of the Northwest Las Vegas, NV community and want to do our part to make our community the best it can be. SERVPRO of Northwest Las Vegas proudly serves Northwest Las Vegas, Las Vegas, and surrounding areas. 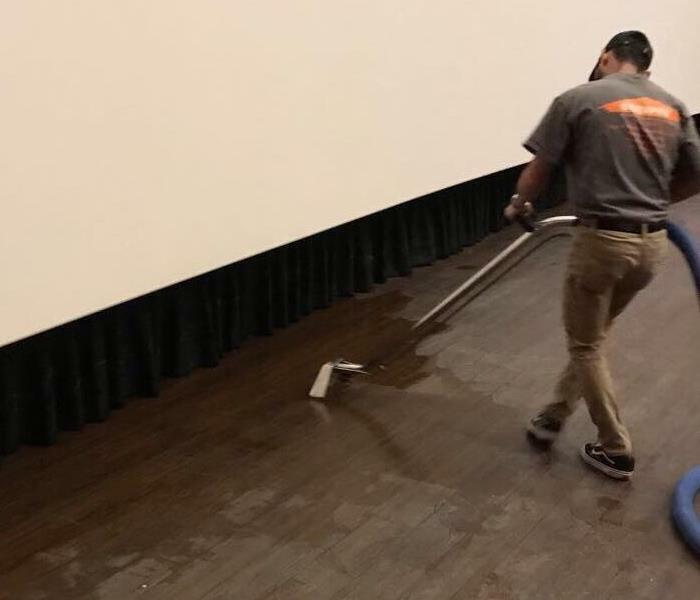 Water damage cleanup in commercial facility.